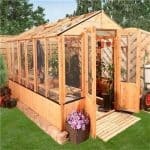 This is a high quality greenhouse with polycarbonate glazing that makes it a steal at this price. However, take the options of the customising aspect and you will find that you can add even more value to it. This is a polycarbonate greenhouse that measures at 195.7 cm in width and 92.3 cm in depth. Internally, this width converts to 181.4 cm and the internal depth becomes 92.3 cm. It has a standard apex roof and this works hard to keep the rainwater out of the building, crucial as regards the safety and progress of the plants inside the building. A key aspect of the building is the fact that it has tongue and groove cladding throughout. This makes a real difference. 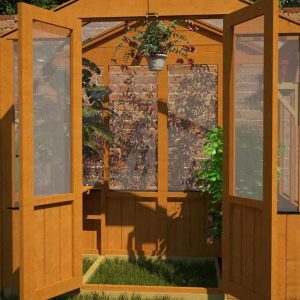 It isn’t the world’s most developed building, and is really a simple greenhouse with a wooden frame. But having that tongue and groove work in it takes it to a new level. The tongue and groove is very strong, and it will provide a solid and durable shield against water entry. The fact that the timber interlocks also means that the timber is stronger, simply because it combines the weight of planks. Virtually impenetrable, it is an excellent addition to the building. The manufacturers say that the building has had the timber treated, so this means that you don’t have to do this part. This saves a lot of time and effort because normally you have to treat a building and it’s timber on an annual basis. This hard work is taken out of your hands. It also means that you have a factory treatment, which is naturally going to be more robust than anything you would apply. Due to the nature of the building as a greenhouse, the glazing is running throughout the building. 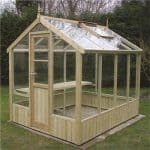 The glazing is also polycarbonate, which is some of the toughest glazing you can have. On top of that it is also resistant to shattering. It protects the interior from UV rays too. 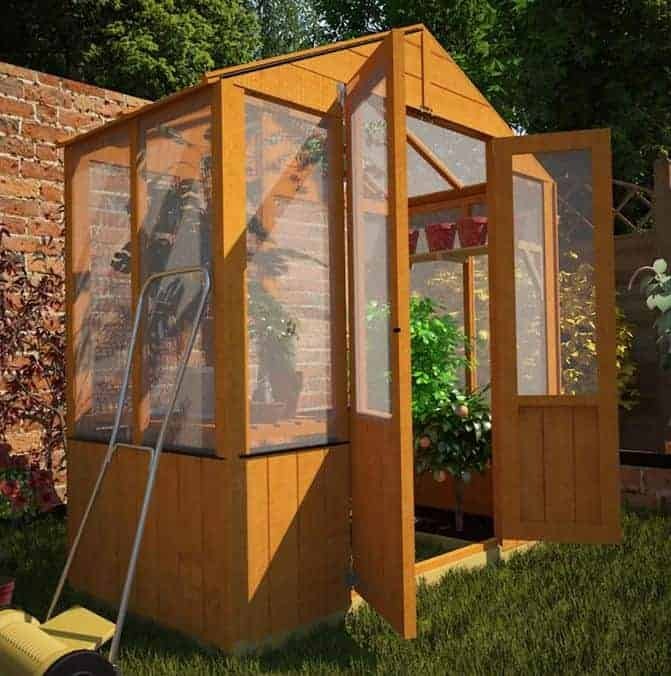 As a material for a greenhouse, it is perfect. 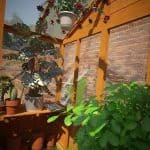 Double doors allow for a lot of access into the building, which is perfect if you are carrying larger and more awkward plants. You have some real options here and this is one of the key features of the building, with it’s sheer flexibility. For example, you can choose a number of shelving options, all of which are very good at providing that extra bit of storage in your greenhouse. We liked these because they offered that little bit extra, and they were not that much more of an expense either. There is an all-round shelving option that is particularly good value. 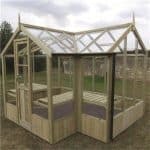 You can also order a special base for the greenhouse. This has been pressure treated, which means that you have a base that is more resistant to water. This is a crucial aspect of the building, and should be a real benefit. 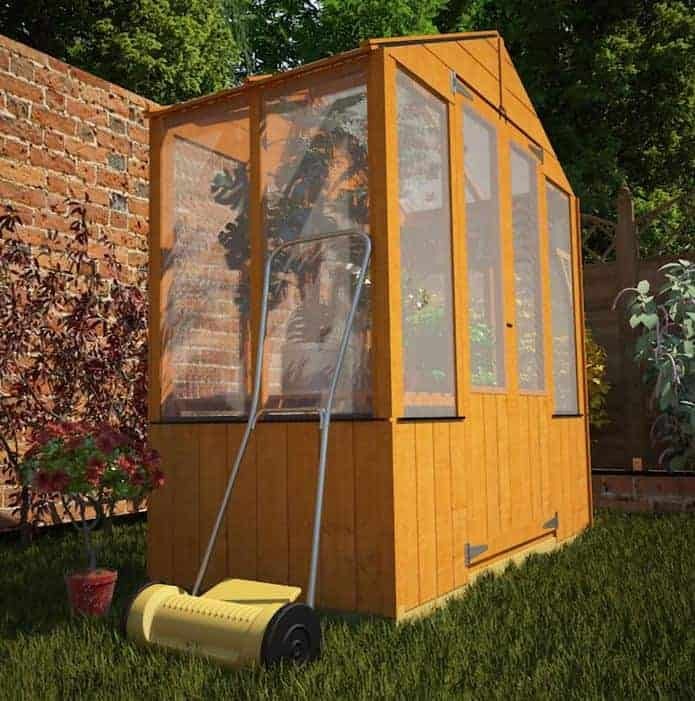 It will actively resist water, which gives your greenhouse extra life. But at nearly £65, it isn’t necessarily something you would leap into buying. We recommend it though, simply due to the long life factor. 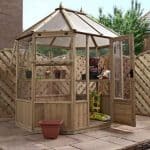 Final Thoughts: A high quality greenhouse at quite an attractive price, this should be under everyone's consideration if you have some plants you want to nurture. 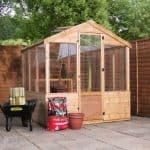 The polycarbonate is a particular boon, and adds real value to the overall purchase. 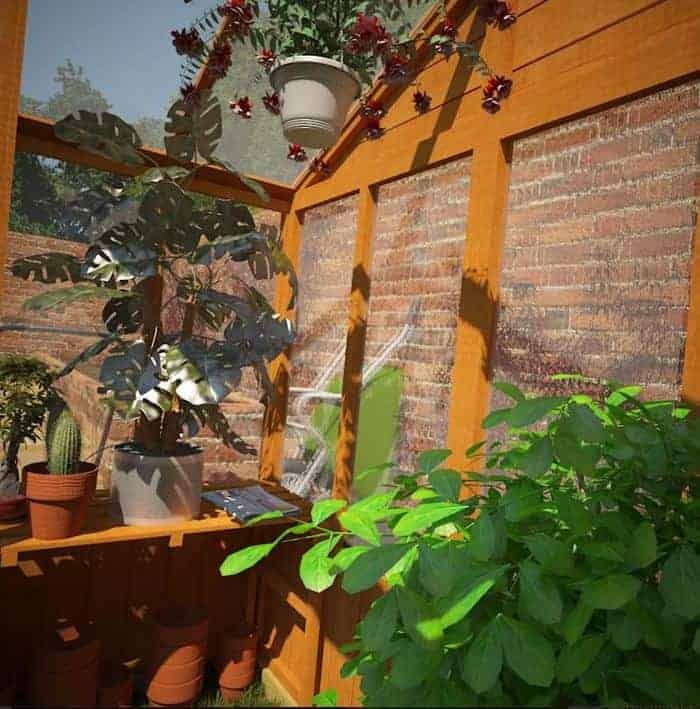 We also like the extras, which show that you can add much more to the greenhouse. The all-round shelving is good news as an option. Hi Lesley, you should be able to get a good 15 years out of it without any issues.